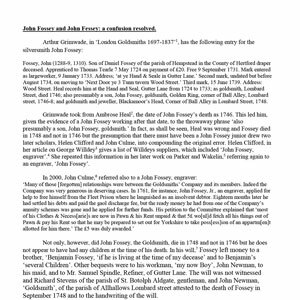 JOHN FOSSEY AND JOHN FESSEY: A CONFUSION RESOLVED. A short essay on an eighteenth century London Goldsmith and a London engraver of the same period. next post: FAMILY BUSINESS: ROBERT COLLIER, THE MASTER OF JAMES PHIPPS I, SILVERSMITH.